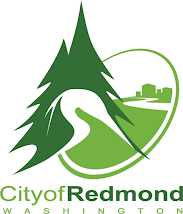 Redmond News and Opinion - covering neighborhoods, schools, and local governments of Greater Redmond, WA. EvergreenHealth doesn't have a mental health care specialty nor employ a psychiatrist or psychiatric nurse practitioner. E-mail the Administration with your questions, comments or complaints. Kay Taylor, Public Relations oversees complaints. Laurene Burton is the public's key contact for governance, public records and community affairs. Laurene Burton, Executive Director – Governance, Community Affairs and Public Records Officer. EvergreenHealth is a King County Public Health Hospital. District residents are taxed. The taxes are directed to community health needs and capital funding needs. The first Tuesday of the month is a Study Session, which is to consider matters for later decision by the Board and other information pertinent to the District. The second Friday of the month is an Educational session, where the commissioners are updated on programs and services. Contact Laurene Burton for times. Study Session: 5:30pm public meeting begins -- The public may not comment. "Transparency and Participation are the Building Blocks of Good Government"
9 Advisors are nominated to serve three year terms. This is an important and significant committee for citizen access to the Board of Commissioners and Staff. Most citizens learn about the committee by word-of-mouth and Ms. Burton. A very late press release is now issued once a year announcing when Applications are taken. According to Ms. Burton, the Community Advisor Committee serves as a "focus group" for the hospital. Advisers don't set policy but make recommendations to the Board. Comm. Rebecca Hirt is on this committee. 2015 LEVY FUNDED SERVICES COMMITTEE: There is no Community Advisor participation in this committee. If you know of someone who wants to be an Advisor contact Laurene Burton. Contact Laurene Burton with your ideas and suggestions for tax-payer funded community health care needs (425-899-2667.) This committee works in conjunction with the "Audit/Finance committee." The Levy Funded Services Committee holds a Budget Hearing once a year in the Fall. They allocate tax dollars for identified community healthcare needs. The "Levy Funded Committee" is comprised of: 2 Commissioners (President DeYoung and Secretary Jeanette Greenfield.) the CEO, Laurene Burton, Director of Finance, and Director of Strategic Planning. EvergeenHealth Community Advisor citizen volunteers are not on this committee. They have Biannual Meetings. AUDIT & FINANCE COMMITTEE: A Budget Hearing is held once a year. Board President and Secretary are on this committee. It works in conjunction with the Levy Funded Services Committee. BOARD BY-LAWS AND DELEGATION POLICY REVIEW COMMITTEE: No Advisors. Yearly Meetings.Comms. Greenfield and Rebecca Hirt, CEO, Fitzgerald (lawyer), Laurene Burton. CONSTRUCTION & PLANNING COMMITTEE: Monthly Meetings. 3 community advisers, Comms. DeYoung and Pilcher, CEO, COO,CFO, CMO, CAO,VP Planning, VP Marketing are on this committee. QUALITY AND SAFETY COMMITTEE: -- influential, no details. usually run by their infection disease physician. Comm. Rebecca Hirt is on this Committee. Redmond Neighborhood Blog advocates, investigates and reports news and opinion on Redmond, WA. neighborhoods, schools, local governments and organizations so our community can be more informed, responsive and connected with each other. UPDATED: What's behind the red roadway signs? Robert S. Yoder. Simple theme. Powered by Blogger.